But Don't Help Them Spread! When you're trying to find bed bugs, the last thing you want is for one to stow away on your clothing. And the inspection itself could drive them deeper into hiding. Here are five strategies to help you find bed bugs - without helping them spread. IMPORTANT NOTE: If at any point you find a live bed bug, stop. Your inspection is done for now and you need to start working on your bed bug pest control plan. Don't jump the gun and grab for a bed bug spray can or fogger! That'll just make things worse. Head over to the bed bug pest control section to learn what to do next. The key is to plan ahead: be ready to contain items for de-bugging later, avoid hitchhikers, and tread lightly to keep them from scattering. Contain items for potential de-bugging as you go. That way if there are bedbugs, they won't get spread to other parts of the room. Don't just fling the bedding on the floor. Put it in a plastic bag and tie it up tight. Put non-clothing items in bags (or plastic totes) too – just in case. Then you can take it all down to be de-bugged in the dryer when you're done. Put clothes that you know are bedbug-free in a tightly sealed plastic bag. Put the clothes you were wearing in another plastic bag and seal it or tie it up tight. Get dressed silly! Put on the bug-free clothes from the first bag. Take the potentially buggy clothes down to your clothes dryer (for de-bugging) and tumble them on high heat for 30 minutes to kill any bed bugs or eggs you might have picked up while doing your inspection. Make sure you tie the bag used for the buggy stuff up nice and tight and throw in in the trash outside. If you follow these steps, you will seriously reduce the risk of taking bed bugs with you to other parts of the house. You don't want the inspection itself to cause bed bugs to spread. Here's how to find bed bugs without making them scatter: Go slowly, and “tread lightly”. Be gentle as you move items. Keep in mind that if they are infested, the bed bugs are likely to scatter if you upset their hiding places too violently. Do just one area at a time - and take your time! And remember, if and when you find a live bed bug – you're done. Stop looking for now and go straight to bed bug pest control. 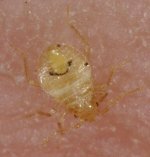 Knowing how to inspect a hotel room for bed bugs is a key bedbug prevention skill. But if you do find them, how do you make sure they don't come home with you? Safeguard your stuff in the bathtub. The bath tub?! Yep! Put everything you have in the bathtub the moment you walk into the hotel room. This is the last place bed bugs are likely to be found in a hotel room, so its the safest place for your stuff. Don't set anything other than your bed bug inspection gear anywhere else until you've deemed the room to be bed bug safe. If you do find bed bugs or signs they have been there, take a picture. Then head straight to the front desk to ask for another room. Contain your clothes for de-bugging. Once you're in a room that passes inspection, go to the bathroom and contain the clothes you are wearing. This is important because while you were finding the bed bugs, they might have found you and decided to hitch a ride. The bathroom is the best place to do this because you will be able to easily see if any fall off or “make a break for it” and kill them before they infest your new room. Take off all the clothes you have been wearing. Put the clothes in a plastic bag and seal or tie it up tight for later de-bugging. Check the bathroom floor for any "runaways" and kill or contain them. Take clean clothing out of your suitcase (which should still be in the bathtub) and put them on. Sealable bags like large zip-loc bags are better if you have them. When you get home, use your dryer to de-bug those clothes along with everything else. Optional: You can ask the hotel to dry your clothes on high for 30 minutes to kill any bugs or eggs that might be on them.